2004-2008 - Regular member of SBDD study section CSR NIH. Goal: The overall goal of this U24 is to operationalize the Center for Dental, Oral and Craniofacial Tissue and Organ Regeneration (C-DOCTOR). Through an integrated series of collaborative planning activities funded during Stage I, eight renowned centers of translational research excellence - UCSF, USC, UCLA, UCB, UCD, UCSD, CoH, and Stanford - have partnered to form a public-private consortium focused on accelerating promising tissue engineering/regenerative medicine therapies for dental, oral, and craniofacial (DOC) tissue to human clinical trials. Goal: The goal of this project to provide important knowledge of the signaling network that regulates the transition from MSCs to TA cells in maintaining tissue homeostasis and will serve as the foundation for future studies in MSC biology and stem cell-mediated tissue regeneration. Goal: The project is to understand the molecular and cellular mechanism that is critical for regulating palatal fusion during craniofacial morphogenesis. Goal: This study will provide a better understanding of the molecular regulatory mechanism of root development. The knowledge gained from this study will serve as the foundation for stem cell mediated tooth regeneration. Goal: In this FaceBase spoke project, we will investigate the development of the mandible and maxilla through gene expression profiling and quantitative 3D dynamic imaging analyses, as well as test how manipulating specific genes can prevent and rescue mandible defects. Our study will generate important resources for the research community, inform clinical diagnosis and provide potential approaches to prevent or rescue craniofacial malformations. Goal: The major goals of this project are to create FaceBase2 hub infrastructure driven by principles of ease of use and user centered design to manage data throughout its lifecycle; to provide tools within the hub that accelerate craniofacial research by enabling data annotation, integration and analysis; and to promote use and collaboration across the FaceBase research network. Goal: The goal of this project is to investigate the role of stem cell regulation in cranial suture development and maintenance, and its pathophysiology in craniosynostosis. Goal: The goal of this project is to generate tremendous resources for the FaceBase Consortium and also offer opportunities for extensive collaborations for future translational research on craniofacial birth defects. Goal: This project is to investigate the function of homeobox gene Msx1 in regulating the fate of cranial neural crest-derived ectomesenchyme during craniofacial morphogenesis. Goal: This project is designed to explore the dynamic gene expression profiles during palate fusion. Goal: The goals of this project are to test the hypothesis that TGF-b signaling controls the fate of CNC as well as mesoderm-derived cells and regulates tissue-tissue interaction during tongue development. Goal: This is a project designed to investigate the signaling network involved in regulating frontal bone development and malformation. Goal: This project is directed at recruiting junior faculty members whose research interests are complementary to our goal of enhancing our understanding of the polydisciplinary events shaping craniofacial morphogenesis, their malformations and the use of stem cell biology for their regeneration. Goal: This C-DOCTOR project will provide comprehensive services to meet patient needs for tissue regeneration by establishing well-defined procedures for successful experimental design, large animal models, product validation, manufacturing scale-up, regulatory approval, clinical testing, and implementation. Goal: The goal of this project is to support the Gordon Research Conference on Craniofacial Morphogenesis and Tissue Regeneration. Kousa YA, Zhu H, Fakhouri WD, Lei Y, Kinoshita A, Roushangar RR, Patel NK, Agopian AJ, Yang W, Leslie EJ, Busch TD, Mansour TA, Li X, Smith AL, Li EB, Sharma DB, Williams TJ, Chai Y, Amendt BA, Liao EC, Mitchell LE, Bassuk AG, Gregory S, Ashley-Koch A, Shaw GM, Finnell RH, Schutte BC. (2019) The TFAP2A-IRF6-GRHL3 genetic pathway is conserved in neurulation. Hum Mol Genet. 2019 Jan 25. doi: 10.1093/hmg/ddz010. [Epub ahead of print] PubMed PMID: 30689861. Guo Y, Yuan Y, Wu L, Ho TV, Jing J, Sugii H, Li J, Han X, Feng J, Guo C, Chai Y. (2018) BMP-IHH-mediated interplay between mesenchymal stem cells and osteoclasts supports calvarial bone homeostasis and repair. Bone Res. 2018 Oct 17;6:30. doi: 10.1038/s41413-018-0031-x. eCollection 2018. PubMed PMID: 30345151; PubMed Central PMCID: PMC6193039. Li J, Yuan Y, He J, Feng J, Han X, Jing J, Ho TV, Xu J, Chai Y. (2018) Constitutive activation of hedgehog signaling adversely affects epithelial cell fate during palatal fusion. Dev Biol. 2018 Sep 1;441(1):191-203. doi:10.1016/j.ydbio.2018.07.003. Epub 2018 Jul 5. PubMed PMID: 29981310; PubMed Central PMCID: PMC6152919. Gou Y, Li J, Jackson-Weaver O, Wu J, Zhang T, Gupta R, Cho I, Ho TV, Chen Y, Li M, Richard S, Wang J, Chai Y, Xu J. (2018) Protein Arginine Methyltransferase PRMT1 Is Essential for Palatogenesis. J Dent Res. 2018 Jul 1:22034518785164. doi:10.1177/0022034518785164. [Epub ahead of print] PubMed PMID: 29986157. An Z, Akily B, Sabalic M, Zong G, Chai Y, Sharpe PT. (2018) Regulation of Mesenchymal Stem to Transit-Amplifying Cell Transition in the Continuously Growing Mouse Incisor. Cell Rep. 2018 Jun 5;23(10):3102-3111. doi: 10.1016/j.celrep.2018.05.001. PubMed PMID: 29874594; PubMed Central PMCID: PMC6383149. Giannobile WV, Chai Y, Chen Y, Healy KE, Klein O, Lane N, Longaker MT, Lotz JC, Mooney DJ, Sfeir CS, Urata M, Wagner WR, Wu BM, Kohn DH. (2018) Dental, Oral, and Craniofacial Regenerative Medicine: Transforming Biotechnologies for Innovating Patient Care. J Dent Res. 2018 Apr;97(4):361-363. doi: 10.1177/0022034518761346. PubMed PMID: 29557734; PubMed Central PMCID: PMC5863875. Zhang T, Wu J, Ungvijanpunya N, Jackson-Weaver O, Gou Y, Feng J, Ho TV, Shen Y, Liu J, Richard S, Jin J, Hajishengallis G, Chai Y, Xu J. (2018) Smad6 Methylation Represses NFκB Activation and Periodontal Inflammation. J Dent Res. 2018 Jul;97(7):810-819. doi: 10.1177/0022034518755688. Epub 2018 Feb 8. PubMed PMID:29420098. Bobarnac Dogaru GL, Juneja SC, Shokrani A, Hui RY, Chai Y, Pepper JP. (2018) The role of Hedgehog-responsive fibroblasts in facial nerve regeneration. Exp Neurol. 2018 May;303:72-79. doi: 10.1016/j.expneurol.2018.01.008. Epub 2018 Jan 11. PubMed PMID: 29337143. Sugii H, Grimaldi A, Li J, Parada C, Vu-Ho T, Feng J, Jing J, Yuan Y, Guo Y, Maeda H, Chai Y. (2017) Dlx5-FGF10 signaling cascade controls cranial neural crest and myoblast interaction during oropharyngeal patterning and development. Development. 2017 Nov 1;144(21):4037-4045. doi: 10.1242/dev.155176. Epub 2017 Oct 5. PubMed PMID: 28982687; PubMed Central PMCID: PMC5702075. Johnson MB, Pang B, Gardner DJ, Niknam-Benia S, Soundarajan V, Bramos A, Perrault DP, Banks K, Lee GK, Baker RY, Kim GH, Lee S, Chai Y, Chen M, Li W, Kwong L, Hong YK, Wong AK. (2017) Topical Fibronectin Improves Wound Healing of Irradiated Skin. Sci Rep. 2017 Jun 20;7(1):3876. doi: 10.1038/s41598-017-03614-y. PubMed PMID: 28634413; PubMed Central PMCID: PMC5478660. Feng J, Jing J, Li J, Zhao H, Punj V, Zhang T, Xu J, Chai Y. (2017) BMP signaling orchestrates a transcriptional network to control the fate of mesenchymal stem cells in mice. Development. 2017 Jul 15;144(14):2560-2569. doi:10.1242/dev.150136. Epub 2017 Jun 2. PubMed PMID: 28576771; PubMed Central PMCID:PMC5536932. Tian H, Feng J, Li J, Ho TV, Yuan Y, Liu Y, Brindopke F, Figueiredo JC, Magee W 3rd, Sanchez-Lara PA, Chai Y. (2017) Intraflagellar transport 88 (IFT88) is crucial for craniofacial development in mice and is a candidate gene for human cleft lip and palate. Hum Mol Genet. 2017 Mar 1;26(5):860-872. doi: 10.1093/hmg/ddx002. PubMed PMID: 28069795; PubMed Central PMCID: PMC6075526. Li J, Parada C, Chai Y. (2017) Cellular and molecular mechanisms of tooth root development. Development. 2017 Feb 1;144(3):374-384. doi: 10.1242/dev.137216. Review. PubMed PMID: 28143844; PubMed Central PMCID: PMC5341797. Park S, Zhao H, Urata M, Chai Y. (2016) Sutures Possess Strong Regenerative Capacity for Calvarial Bone Injury. Stem Cells Dev. 2016 Dec 1;25(23):1801-1807. PubMed PMID: 27762665; PubMed Central PMCID: PMC5124738. Sun Z, Yu W, Navarro MS, Sweat M, Eliason S, Sharp T, Liu H, Seidel K, Zhang L, Moreno M, Lynch T, Holton NE, Rogers L, Neff T, Goodheart MJ, Michon F, Klein OD, Chai Y, Dupuy A, Engelhardt JF, Chen Z, Amendt BA. (2016) Sox2 and Lef-1 interact with Pitx2 to regulate incisor development and stem cell renewal. Development. 2016 Nov 15;143(22):4115-4126. PubMed PMID: 27660324; PubMed Central PMCID: PMC5117215. Feng J, Jing J, Sanchez-Lara PA, Bootwalla MS, Buckley J, Wu N, Yan Y, Chai Y. (2016) Generation and characterization of tamoxifen-inducible Pax9-CreER Knock-In Mice using CrispR/Cas9. Genesis. 2016 Sep;54(9):490-6. doi: 10.1002/dvg.22956. Epub 2016 Jul 26. PubMed PMID: 27381449; PubMed Central PMCID: PMC5021577. Brinkley JF, Fisher S, Harris MP, Holmes G, Hooper JE, Jabs EW, Jones KL, Kesselman C, Klein OD, Maas RL, Marazita ML, Selleri L, Spritz RA, van Bakel H, Visel A, Williams TJ, Wysocka J; FaceBase Consortium, Chai Y. (2016) The FaceBase Consortium: A Comprehensive Resource for Craniofacial Researchers. Development. 2016 Jul 15;143(14):2677-88. doi: 10.1242/dev.135434. Epub 2016 Jun 10. PubMed PMID: 27287806; PubMed Central PMCID: PMC4958338. Burg ML, Chai Y, Yao CA, Magee W 3rd, Figueiredo JC. (2016) Epidemiology, Etiology, and Treatment of Isolated Cleft Palate. Front Physiol. 2016 Mar 1;7:67. doi: 10.3389/fphys.2016.00067. eCollection 2016. Review. PubMed PMID: 26973535; PubMed Central PMCID: PMC4771933. Grimaldi A, Parada C, Chai Y. (2015) A Comprehensive Study of Soft Palate Development in Mice. PLoS One. 2015 Dec 15;10(12):e0145018. doi:10.1371/journal.pone.0145018. eCollection 2015. PubMed PMID: 26671681; PubMed Central PMCID: PMC4687642. Parada C, Chai Y. (2015) Mandible and Tongue Development. Curr Top Dev Biol.2015;115:31-58. doi: 10.1016/bs.ctdb.2015.07.023. Epub 2015 Oct 1. PubMed PMID:26589920; PubMed Central PMCID: PMC4869709. Parada C, Han D, Grimaldi A, Sarrión P, Park SS, Pelikan R, Sanchez-Lara PA, Chai Y. (2015) Disruption of the ERK/MAPK pathway in neural crest cells as a potential cause of Pierre Robin sequence. Development. 2015 Nov 1;142(21):3734-45. doi:10.1242/dev.125328. Epub 2015 Sep 22. PubMed PMID: 26395480; PubMed Central PMCID: PMC4647211. Zhao H, Chai Y. (2015) Stem Cells in Teeth and Craniofacial Bones. J Dent Res. 2015 Nov;94(11):1495-501. doi: 10.1177/0022034515603972. Epub 2015 Sep 8. Review. PubMed PMID: 26350960; PubMed Central PMCID: PMC4622324. Liu Y, Feng JF, Li JY, Zhao Hu, Ho TV, Chai Y. (2015) An Nfic-Hedgehog Signaling Cascade Regulates Tooth Root Development. Development. 2015 Oct 1;142(19):3374-82. doi:10.1242/dev.127068. Epub 2015 Aug 20. PubMed PMID: 26293299; PubMed Central PMCID: PMC4631759. Li J, Feng J, Liu Y, Ho TV, Grimes W, Ho HA, Park S, Wang SL, Chai Y. 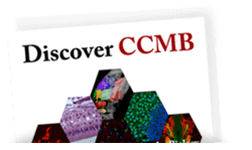 (2015) BMP-SHH Signaling Network Controls Epithelial Stem Cell Fate via Regulation of Its Niche in the Developing Tooth. Dev Cell. 2015 Apr 20;33(2):125-35. doi:10.1016/j.devcel.2015.02.021. Epub 2015 Apr 9. PubMed PMID: 25865348; PubMed Central PMCID: PMC4406846. Zhao H, Feng J, Ho TV, Grimes W, Urata M, Chai Y. (2015) The suture provides a niche for mesenchymal stem cells of craniofacial bones. Nat Cell Biol. 2015 Apr;17(4):386-96. doi: 10.1038/ncb3139. Epub 2015 Mar 23. PubMed PMID: 25799059; PubMed Central PMCID: PMC4380556. Kim TH, Bae CH, Lee JY, Lee JC, Ko SO, Chai Y, Cho ES. (2015) Temporo-spatial requirement of Smad4 in dentin formation. Biochem Biophys Res Commun. 2015 Apr 17;459(4):706-12. doi: 10.1016/j.bbrc.2015.03.014. Epub 2015 Mar 11. PubMed PMID:25770424. Ho TV, Iwata J, Ho HA, Grimes WC, Park S, Sanchez-Lara PA, Chai Y. (2015) Integration of comprehensive 3D microCT and signaling analysis reveals differential regulatory mechanisms of craniofacial bone development. Dev Biol. 2015 Apr 15;400(2):180-90. doi: 10.1016/j.ydbio.2015.02.010. Epub 2015 Feb 23. PubMed PMID: 25722190; PubMed Central PMCID: PMC4385433. Zhong Z, Zhao H, Mayo J, Chai Y. (2015) Different Requirements for Wnt Signaling in Tongue Myogenic Subpopulations. J Dent Res. 2015 Mar;94(3):421-9. doi:10.1177/0022034514566030. Epub 2015 Jan 9. PubMed PMID: 25576472; PubMed Central PMCID: PMC4336158. Slavkin HC, Sanchez-Lara PA, Chai Y, Urata M. (2014) A model for interprofessional health care: lessons learned from craniofacial teams. J Calif Dent Assoc. 2014 Sep;42(9):637-44. PubMed PMID: 25265730. Han A, Zhao H, Li J, Pelikan R, Chai Y. (2014) ALK5-Mediated Transforming Growth Factor β Signaling in Neural Crest Cells Controls Craniofacial Muscle Development via Tissue-Tissue Interactions. Mol Cell Biol. 2014 Aug 15;34(16):3120-31. doi:10.1128/MCB.00623-14. Epub 2014 Jun 9. PubMed PMID: 24912677; PubMed Central PMCID: PMC4135603. Zhao H, Feng J, Seidel K, Shi S, Klein O, Sharpe P, Chai Y. (2014) Secretion of shh by a neurovascular bundle niche supports mesenchymal stem cell homeostasis in the adult mouse incisor. Cell Stem Cell. 2014 Feb 6;14(2):160-73. doi:10.1016/j.stem.2013.12.013. PubMed PMID: 24506883; PubMed Central PMCID:PMC3951379. Iwata J, Suzuki A, Yokota T, Ho TV, Pelikan R, Urata M, Sanchez-Lara PA, Chai Y. (2014) TGFβ regulates epithelial-mesenchymal interactions through WNT signaling activity to control muscle development in the soft palate. Development. 2014 Feb;141(4):909-17. doi: 10.1242/dev.103093. PubMed PMID: 24496627; PubMed Central PMCID: PMC3912833. Iwata J, Suzuki A, Pelikan RC, Ho TV, Sanchez-Lara PA, Chai Y. (2014) Modulation of Lipid Metabolic Defects Rescues Cleft Palate in Tgfbr2 Mutant Mice. Hum Mol Genet. 2014 Jan 1;23(1):182-93. doi: 10.1093/hmg/ddt410. Epub 2013 Aug 23. PubMed PMID: 23975680; PubMed Central PMCID: PMC3857953. Iwata J, Suzuki A, Pelikan RC, Ho TV, Chai Y. (2013) Non-canonical transforming growth factor beta (TGFβ) signaling in cranial neural crest cells causes tongue muscle developmental defects. J Biol Chem. 2013 Oct 11;288(41):29760-70. doi:10.1074/jbc.M113.493551. Epub 2013 Aug 15. PubMed PMID: 23950180; PubMed Central PMCID: PMC3795273. Parada C, Li J, Iwata J, Suzuki A, Chai Y. (2013) CTGF Mediates Smad-Dependent Transforming Growth Factor β Signaling To Regulate Mesenchymal Cell Proliferation during Palate Development. Mol Cell Biol. 2013 Sep;33(17):3482-93. doi:10.1128/MCB.00615-13. Epub 2013 Jul 1. PubMed PMID: 23816882; PubMed Central PMCID: PMC3753855. Xie WB, Li Z, Shi N, Guo X, Tang J, Ju W, Han J, Liu T, Bottinger EP, Chai Y, Jose PA, Chen SY. (2013) Smad2 and MRTFB Cooperatively Regulate Vascular Smooth Muscle Differentiation from Neural Crest Cells. Circ Res. 2013 Sep 27;113(8):e76-86. doi: 10.1161/CIRCRESAHA.113.301921.Epub 2013 Jul 1. PubMed PMID: 23817199; PubMed Central PMCID: PMC3837448. Mima J, Koshino A, Oka K, Uchida H, Hieda Y, Nohara K, Kogo M, Chai Y, Sakai T. (2013) Regulation of the Epithelial Adhesion Molecule CEACAM1 Is Important for Palate Formation. PLoS One. 2013 Apr 17;8(4):e61653. doi: 10.1371/journal.pone.0061653. Print 2013. PubMed PMID: 23613893; PubMed Central PMCID: PMC3629100. Song Z, Liu C, Iwata J*, Gu S, Suzuki A, Sun C, He W, Shu R, Li L, Chai Y, Chen Y. (2013) Mice with tak1 deficiency in neural crest lineage exhibit cleft palate associated with abnormal tongue development. J Biol Chem. 2013 Apr 12;288(15):10440-50. doi: 10.1074/jbc.M112.432286. Epub 2013 Mar 4. PubMed PMID: 23460641; PubMed Central PMCID: PMC3624426. Pelikan RC, Iwata J, Suzuki A, Chai Y, Hacia JG. (2013) Identification of candidate downstream targets of TGF-bate signaling during palate development by genome-wide transcript profiling. J Cell Biochem. 2013 Apr;114(4):796-807. doi:10.1002/jcb.24417. PubMed PMID: 23060211; PubMed Central PMCID: PMC3777336. Iwata J, Suzuki A, Pelikan RC, Ho TV, Sanchez-Lara PA, Urata M, Dixon MJ, Chai Y. (2013) Smad4-Irf6 genetic interaction and TGF-mediated IRF6 signaling cascade are crucial for palatal fusion in mice. Development. 2013 Mar;140(6):1220-30. doi: 10.1242/dev.089615. Epub 2013 Feb 13. PubMed PMID: 23406900; PubMed Central PMCID: PMC3585659. Huang XF, Chai Y. (2012) Molecular Regulatory Mechanism of Tooth Root Development. Int J Oral Sci. 2012 Dec;4(4):177-81. doi: 10.1038/ijos.2012.61. Epub 2012 Dec 7.PubMed PMID: 23222990; PubMed Central PMCID: PMC3633063. Parada C, Chai Y. (2012) Roles of BMP signaling pathway in lip and palate development. Front Oral Biol. 2012;16:60-70. doi: 10.1159/000337617. Epub 2012 Jun 25. Review. PubMed PMID: 22759670; PubMed Central PMCID: PMC3661199. Stephens H, Jensen B, Carpiaux W, Sedghizadeh P, Chai Y. (2012) A collaborative approach to advance student research at the University of Southern California. J Calif Dent Assoc. 2012 May;40(5):433-6, 438-9. PubMed PMID: 22685951. Han D, Zhao H, Parada C, Hacia JG, Bringas, Jr. P, Chai Y. (2012) A TGF-beta-Smad4-FGF6 signaling cascade controls myogenic differentiation and myoblast fusion during tongue development Development. 2012 May;139(9):1640-50. Epub 2012 Mar 21.PubMed PMID: 22438570; PubMed Central PMCID: PMC3317969. Iwata J, Hacia J, Suzuki A, Sanchez-Lara P, Urata M, Chai Y. (2012) Modulation of non-canonical TGF-beta signaling prevents cleft palate in Tgfbr2 mutant mice. J Clin Invest. 2012 Mar 1;122(3):873-85. doi: 10.1172/JCI61498. Epub 2012 Feb 13. PubMed PMID: 22326956; PubMed Central PMCID: PMC3287237. Parada C, Han D, Chai Y. (2012) Molecular and Cellular Regulatory Mechanisms of Tongue Myogenesis. J Dent Res. 2012 Jun;91(6):528-35. Epub 2012 Jan 4. Review.PubMed PMID: 22219210; PubMed Central PMCID: PMC3348065. Iwata J, Tung L, Urata M, Hacia JG, Pelikan R, Suzuki A, Ramenzoni L, Chaudhry O, Parada C, Sanchez-Lara PA, Chai Y. (2012) Fibroblast growth factor 9 (FGF9)-pituitary homeobox 2 (PITX2) pathway mediates transforming growth factor beta (TGFb) signaling to regulate cell proliferation in palatal mesenchyme during mouse palatogenesis. J Biol Chem. 2012 Jan 20;287(4):2353-63. Epub 2011 Nov 28. PubMed PMID: 22123828;PubMed Central PMCID: PMC3268397. Huang XF, Yokota T, Iwata J, Chai Y. (2011) TGF-beta mediated FasL-Fas-Caspase pathway is crucial during palatogenesis. J Dent Res. 2011 Aug;90(8):981-7. Epub 2011 May 18. PubMed PMID: 21593251; PubMed Central PMCID: PMC3170164. Hung Y, Huang X, Chai Y. (2011) Molecular regulatory mechanism of root development. J Calif Dent Assoc. 2011 May;39(5):321-4. PubMed PMID: 21721476. Li J, Huang X, Xu X, Mayo J, Bringas P Jr, Jiang R, Wang S, Chai Y. (2011) SMAD4-mediated WNT signaling controls the fate of cranial neural crest cells during tooth morphogenesis. Development. 2011 May;138(10):1977-89. Epub 2011 Apr 13. PubMed PMID: 21490069; PubMed Central PMCID: PMC3082303. Hochheiser H, Aronow BJ, Artinger K, Beaty TH, Brinkley JF, Chai Y, Clouthier D, Cunningham ML, Dixon M, Donahue LR, Fraser SE, Iwata J, Marazita ML, Murray JC, Murray S, Postlethwait J, Potter S, Shapiro L, Spritz R, Visel A, Weinberg SM, Trainor PA. (2011) The FaceBase Consortium: A comprehensive program to facilitate craniofacial research. Dev Biol. 2011 Jul 15;355(2):175-82. doi: 10.1016/j.ydbio.2011.02.033. Epub 2011 Mar 31. PubMed PMID: 21458441; PubMed Central PMCID: PMC3440302. Zhao H, Li S, Han D, Kaartinen V, Chai Y. (2011) Alk5-mediated TGF-beta signaling acts upstream of FGF10 to regulate the proliferation and maintenance of dental epithelial stem cells. Mol Cell Biol.2011 May;31(10):2079-89. Epub 2011 Mar 14. PubMed PMID: 21402782; PubMed Central PMCID: PMC3133354. Iwata J, Parada C, Chai Y. (2011) The mechanism of TGF-beta signaling during palatogenesis. Oral Dis. 2011 Nov;17(8):733-44. doi:10.1111/j.1601-0825.2011.01806.x. Epub 2011 Mar 13. Review. PubMed PMID:21395922; PubMed Central PMCID: PMC3329177. Chung IH, Han J, Iwata J, Chai Y. (2010) Msx1 and Dlx5 function synergistically to regulate frontal bone development. Genesis. 2010 Nov;48(11):645-55. doi:10.1002/dvg.20671. Epub 2010 Nov 2. PubMed PMID: 20824629; PubMed Central PMCID: PMC2995851. Jinno H, Morozova O, Jones KL, Biernaskie JA, Paris M, Hosokawa R, Rudnicki MA, Chai Y, Rossi F, Marra MA, Miller FD. (2010) Convergent genesis of an adult neural crest-like dermal stem cell from distinct developmental origins. Stem Cells. 2010 Nov;28(11):2027-40. doi: 10.1002/stem.525. PubMed PMID: 20848654; PubMed Central PMCID: PMC3087810. He F, Xiong W, Wang Y, Matsui M, Yu X, Chai Y, Klingensmith J, Chen Y. (2010) Modulation of BMP signaling by Noggin is required for the maintenance of palatal epithelial integrity during palatogenesis. Dev Biol. 2010 Nov 1;347(1):109-21. Epub 2010 Aug 19. PubMed PMID: 20727875; PubMed Central PMCID: PMC3010875. Lu L, Wang J, Zhang F, Chai Y, Brand D, Wang X, Horwitz DA, Shi W, Zheng SG. (2010) Role of SMAD and non-SMAD signals in the development of Th17 and regulatory T cells. J Immunol. 2010 Apr 15;184(8):4295-306. Epub 2010 Mar 19. PubMed PMID: 20304828; PubMed Central PMCID: PMC3087811. Hosokawa R, Oka K, Yamaza T, Iwata J, Urata M, Xu X, Bringas P Jr, Nonaka K, Chai Y. (2010) TGF-beta mediated FGF10 signaling in cranial neural crest cells controls development of myogenic progenitor cells through tissue-tissue interactions during tongue morphogenesis. Dev Biol. 2010 May 1;341(1):186-95. Epub 2010 Feb 26. PubMed PMID: 20193675; PubMed Central PMCID: PMC3336866. Iwata J, Hosokawa R, Sanchez-Lara PA, Urata M, Slavkin H, Chai Y. (2010) Transforming growth factor-beta regulates basal transcriptional regulatory machinery to control cell proliferation and differentiation in cranial neural crest-derived osteoprogenitor cells. J Biol Chem. 2010 Feb 12;285(7):4975-82. PubMed PMID: 19959467; PubMed Central PMCID: PMC2836101. Chai Y. (2010) Towards a molecular understanding of cleft palate. Beijing Da Xue Xue Bao. 42(1):9-13. PubMed PMID: 20429146. Huang XF, Xu X, Bringas P Jr, Hung YP, Chai Y. (2010) Smad4-Shh-Nfic signaling cascade-mediated epithelial-mesenchymal interaction is crucial in regulating tooth root development. J Bone Miner Res. 2010 May;25(5):1167-78. PubMed PMID:19888897; PubMed Central PMCID: PMC3153373. Han J, Mayo J, Xu X, Li JY, Bringas P Jr, Mass RL, Rubenstein JLR, Chai Y. (2009) Indirect modulation of Shh signaling by Dlx5 affects the oral-nasal patterning of palate and rescues cleft palate in Msx1-null mice. Development. 2009 Dec;136(24):4225-33. PubMed PMID: 19934017; PubMed Central PMCID: PMC2781056. Huang XF, Bringas P, Slavkin HC, Chai Y. (2009) Fate of HERS during Tooth Root Development. Dev. Biol. 334(1):22-30. PubMed PMID: 19576204; PubMed Central PMCID: PMC2744848. Hosokawa R, Deng X, Takamori K, Xu X, Urata M, Bringas Jr. P, Chai Y. (2009) Epithelial-specific requirement of FGFR2 signaling during tooth and palate development. J. Exp. Zoology 312B(4):343-350. PubMed PMID: 19235875; PubMed Central PMCID: PMC2896559. Noh T, Gabet Y, Cogan J, Shi Y, Tank A, Sasaki T, Criswell B, Dixson A, Lee C, Tam J, Kohler T, Segev E, Kockeritz L, Woodgett J, Muller R, Chai Y, Smith E, Bab I, Frenkel B. (2009) Lef1 haploinsufficiency mice display a low turnover and low bone mass phenotype in a gender- and age-specific manner. PLoS ONE 4(5):e5438. PubMed PMID: 19412553; PubMed Central PMCID: PMC2673053. Chung I, Yamaza T, Zhao H. Choung P, Shi S, Chai Y. (2009) Stem cell property of postmigratory cranial neural crest cells and their utility in alveolar bone regeneration and tooth development. Stem Cells 27(4):866-77. PubMed PMID: 19350689; PubMed Central PMCID: PMC2896558. Shi S, Chai Y, Slavkin H. (2009) Emerging opportunities for the next generation of dental implants? Dent Today 28(3):98-9. PubMed PMID: 19323323. Zhang Z, Lan Y, Chai Y, Jiang, R. (2009) Antagonistic actions of Msx1 and Osr2 pattern mammalian teeth into single row. Science 323(5918):1232-4. PubMed PMID: 19251632; PubMed Central PMCID: PMC2650836. Anthwal N, Chai Y, Tucker AS. (2008) The Role of Transforming Growth Factor-beta Signalling in the Patterning of the Proximal Processes of the Murine Dentary. Dev. Dyn. 237(6):1604-13. PubMed PMID: 18498113. Chen H, Zhuang F, Liu YH, Xu B, Del Moral P, Deng W, Chai Y, Kolb M, Gauldie J, Warburton D, Moses HL, Shi W. (2008) TGF-beta receptor II in Epithelia Versus Mesenchyme Plays Distinct Role in Developing Lung. Eur Respir J. 32(2):285-95. PubMed PMID: 18321928; PubMed Central PMCID: PMC2865234. De Langhe SP, Carraro G, Tefft D, Li C, Xu X, Chai Y, Minoo P, Hajihosseini MK, Drouin J, Kaartinen V, Bellusci S. (2008) Formation and Differentiation of Multiple Mesenchymal Lineages during Lung Development Is Regulated by beta-catenin Signaling. PLoS One. 2008 Jan 30;3(1):e1516. PubMed PMID: 18231602; PubMed Central PMCID: PMC2211394. Yamamoto S, Fukumoto E, Yoshizaki K, Iwamoto T, Yamada A, Tanaka K, Suzuki H, Aizawa S, Arakaki M, Yuasa K, Oka K, Chai Y, Nonaka K, Fukumoto S. (2008) PDGF regulates salivary gland morphogenesis via FGF expression. J Biol Chem. 283(34):23139-23149. PubMed PMID: 18559345. Zhao H, Oka K, Bringas P, Kaartinen V, Chai Y (2008) TGF-beta type I receptor Alk5 regulates tooth initiation and mandible patterning in a type II receptor-independent manner. Dev Biol. 2008 Aug 1;320(1):19-29. doi: 10.1016/j.ydbio.2008.03.045. Epub 2008 Apr 15. PubMed PMID: 18572160; PubMed Central PMCID: PMC3629921. Oka K, Oka S, Hosokawa R, Bringas Jr. P, Brockhoff II HC, Nonaka K, Chai Y (2008) TGF-beta mediated Dlx5 signaling plays a crucial role in osteo-chondroprogenitor cell lineage determination during mandible development. Dev Biol. 2008 Sep 15;321(2):303-9. doi: 10.1016/j.ydbio.2008.03.046. Epub 2008 Apr 15. PubMed PMID:18684439; PubMed Central PMCID: PMC3378386. Takamori K, Hosokawa R, Xu X, Deng X, Bringas P Jr, Chai Y. (2008) Epithelial fibroblast growth factor receptor 1 regulates enamel formation. J Dent Res. 87(3):238-43. PubMed PMID: 18296607. Xing Y, Li C, Hu L, Tiozzo C, Li M, Chai Y, Bellusci S, Anderson S, Minoo P. (2008) Mechanisms of TGFbeta inhibition of LUNG endodermal morphogenesis: The role of TbetaRII, Smads, Nkx2.1 and Pten. Dev Biol. 320(2):340-50. PubMed PMID: 18602626; PubMed Central PMCID: PMC2597224. Xu X, Han J, Ito Y, Bringas Jr. P, Deng C, Chai, Y. (2008) Ectodermal Smad4 and p38 MAPK are functionally redundant in mediating TGF-beta/BMP signaling during tooth and palate development. Dev. Cell. 15(2):322-9. PubMed PMID: 18694570; PubMed Central PMCID: PMC2610417. Oka K, Oka S, Sasaki T, Ito Y, Bringas P Jr., Nonaka K, and Chai Y. (2007) The role of TGF-beta signaling in regulating chondrogenesis and osteogenesis during mandibular development. Dev. Biol. 303(1):391-404. PubMed PMID: 17204263; PubMed Central PMCID: PMC2074881. Oka S, Oka K, Xu X, Sasaki T, Bringas P Jr, and Chai Y. (2007) Cell autonomous requirement for TGF-beta signaling during odontoblast differentiation and dentin matrix formation. Mechanism of Development 124(6):409-15. PubMed PMID: 17449229; PubMed Central PMCID: PMC2704601. Ko SO, Chung IH, Xu X, Oka S, Zhao H, Cho ES, Deng CX, Chai Y. (2007) Smad4 is required to regulate the fate of cranial neural crest cells. Dev. Biol. 312(1):435-47. PubMed PMID: 17964566; PubMed Central PMCID: PMC2704603. Hosokawa R, Urata M, Han J, Zehnaly A., Bringas Jr P, Nonaka K, Chai Y. (2007) TGF-beta mediated Msx2 expression controls occipital somites-derived caudal region of skull development. Dev Biol. 2007 Oct 1;310(1):140-53. Epub 2007 Aug 6. PubMed PMID: 17727833; PubMed Central PMCID: PMC3337706. Zehnaly A, Hosokawa R, Urata M, Chai Y. (2007) TGF-beta signaling and aplasia cutis congenita: proposed animal model. J Calif Dent Assoc. 35(12):865-9. PubMed PMID: 18240750. Driskell RR, Goodheart M, Neff T, Liu X, Luo M, Moothart C, Sigmund CD, Hosokawa R, Chai Y, Engelhardt JF. (2007) Wnt3a regulates Lef-1 expression during airway submucosal gland morphogenesis. Dev Biol. 305(1):90-102. PubMed PMID: 17335794; PubMed Central PMCID: PMC1892170. Han J, Ishii M, Bringas P Jr, Maas RL, Maxson RE Jr, Chai Y. (2007) Concerted action of Msx1 and Msx2 in regulating cranial neural crest cell differentiation during frontal bone development. Mechanisms of Development 124(9-10):729-45. PubMed PMID: 17693062; PubMed Central PMCID: PMC2220014. Dudas M, Kim J, Li WY, Nagy A, Larsson J, Karlsson S, Chai Y, Kaartinen V. (2006) Epithelial and ectomesenchymal role of the type I TGF-beta receptor ALK5 during facial morphogenesis and palatal fusion. Dev Biol. 2006 Aug 15;296(2):298-314. Epub 2006 May 27. PubMed PMID: 16806156; PubMed Central PMCID: PMC1557652. Choudhary B, Ito Y, Makita T, Sasaki T, Chai Y, Sucov HM. (2006) Cardiovascular malformations with normal smooth muscle differentiation in neural crest-specific type II TGFbeta receptor (Tgfbr2) mutant mice. Dev Biol. 289(2):420-9. PubMed PMID: 16332365. Chai Y, Maxson RE. (2006) Recent Advances in Craniofacial Morphogenesis. Dev Dyn. 2006 Sep;235(9):2353-75. Review. PubMed PMID: 16680722. Zhao H, Bringas P Jr, Chai Y. (2006) An in vitro model for characterizing the post-migratory cranial neural crest cells of the first branchial arch. Dev Dyn. 235(5):1433-40. PubMed PMID: 16245337. Xu X, Han J, Ito Y, Bringas P Jr., Urata MM, Chai Y. (2006) Cell autonomous requirement for Tgfbr2 in the disappearance of medial edge epithelium during palatal fusion. Dev. Biol. 297(1):238-48. PubMed PMID: 16780827. Sasaki T, Ito Y, Xu X, Han J, Bringas Jr P, Maeda T, Slavkin HC, Grosschedl R, Chai Y. (2005) LEF1 is a critical epithelial survival factor during tooth morphogenesis. Dev. Biol. 278,130-143. Cui XM, Shiomi N, Chen J, Saito T, Yamamoto T, Ito Y, Bringas Jr. P, Chai Y, Shuler CF. (2005) Overexpression of Smad2 in TGF-beta3-null mutant mice rescues cleft palate. Dev. Biol. 278, 193-202. Ishii M, Han J, Yen HY, Sucov HM, Chai Y, Maxson RE Jr. (2005) Combined deficiencies of Msx1 and Msx2 cause impaired patterning and survival of the cranial neural crest. Development. 132(22):4937-50. Ito Y, Yeo JY, Chytil A, Han J, Bringas P Jr, Nakajima A, Shuler CF, Moses HL, Chai Y. (2003) Conditional inactivation of TGF-beta IIR in cranial neural crest causes cleft palate and calvaria defects. Development 130, 5269-5280. Han J., Ito Y., Yeo J., Sucov H.M., Maas R., and Chai Y. (2003) Cranial neural crest-derived mesenchymal proliferation is regulated by Msx1-mediated p19INK4d expression during odontogenesis. Dev. Biol. 261, 183-196. Cui XM, Chai Y, Chen J, Yamamoto T, Ito Y, Bringas P, Shuler CF. (2003) TGF-beta3-dependent SMAD2 phosphorylation and inhibition of MEE proliferation during palatal fusion. Dev Dyn. 227:387-94. Chai Y., Ito Y., and Han J. (2003) TGF-beta signaling and its functional significance in regulating the fate of cranial neural crest cells. Crit. Rev. Oral Biol. Med. 14, 78-88. Ito Y, Bringas P Jr, Mogharei A, Zhao J, Deng C, Chai Y. (2002) Receptor-regulated and inhibitory Smads in regulating TGF-beta-mediated Meckel s cartilage development. Dev.Dyn 224(1):69-78. Chai Y, Jiang X, Ito Y, Bringas P Jr, Han J, Rowitch DH, Soriano P, McMahon AP, Sucov HM (2000) Fate of the mammalian cranial neural crest during tooth and mandibular morphogenesis. Development, 127,1671-1679. Zhao J, Crowe DL, Castillo C, Wuenschell C, Chai Y, Warburton D (2000) Smad7 is a TGF-beta- inducible attenuator of Smad2/3-mediated inhibition of embryonic lung morphogenesis. Mech. Dev. 93, 71-81. Sarkar PS, Appukuttan B, Han J, Ito Y, Ai C, Tsai W, Chai Y, Stout JT, Reddy S (2000) Heterozygous loss of Six5 in mice is sufficient to cause ocular cataracts. Nature Genetics. 25, 110-114. Amano O, Bringas P, Takahashi I, Takahashi K, Yamane A, Chai Y, Nuckolls GH, Shum L, Slavkin HC (1999) Nerve Growth Factor (NGF) Induces Tooth Morphogenesis in Mouse First Branchial Arch Explants. Dev. Dyn. 216, 299-310. Chai Y, Zhao J, Mogharei A, Xu B, Bringas P Jr, Shuler C, Warburton D (1999) Inhibition of Transfom1ing Growth Factor p Type II Receptor Signaling Accelerates Tooth Formation in Mouse First Branchial Arch Explants. Mech. Dev. 86, 63-74. Chai Y, Bringas P Jr, Shuler C, Devaney E, Grosschedl R, Slavkin HC (1998) An early mandibular organ culture model developed to study cranial neural crest cell migration and molecular regulation of first branchial arch morphogenesis. Int. J Dev. Biol 42, 87-94. Chai Y, Bringas P Jr, Slavkin HC (1998) PDGF-A and PDGFR-alpha Regulate Tooth Fonnation During Mandibular Morphogenesis In Vitro. Dev. Dyn. 213, 500-511. Chai Y, Sasano Y, Bringas P, Mayo M, Slavkin HC, Shuler CF (1997) The characterization of the fate of midline epithelial cells during fusion of mandibular prominences in vivo. Dev. Dyn. 208. 526-535. Slavkin HC, Chai Y, Hu CC, Mayo M, Bringas P Jr, Santos V (1995) The role of growth factors in early tooth morphogenesis, In: Biological Basis for Tooth Eruption, ed. Z. Davidovitch CRC Press, Boca Ratan, Florida. Slavkin HC, Chai Y, Hu CC, Millar-Groff S, Bringas P (1994) Intrinsic molecular deteminants of tooth development from specification to root fonnation: a review. In: Biological Mechanisms of Tooth Eruption, Resorption and Replacement by Implants. Chai Y, Mah A, Crohin C, Groff S, Bringas P, Le T, Santos V, Slavkin, H.C. (1994) Specific transfom1ing growth factor-beta subtypes regulate embryonic mouse Meckel's cartilage and tooth development. Dev. Biol. 162. 85-103. Chai Y, Klauser DK, Denny PA, Denny PC (1993) Proliferative and structural differences. between male and female mouse submandibular glands. Anat. Rec. 235, 303-311. Denny PC, Chai Y, Klauser DK, Denny PA (1993) Parenchymal cell proliferation and mechanisms for maintenance of granular duct and acinar cell populations in adult male mouse submandibular gland. Anat. Rec. 235, 475-485. Chai Y, Crohin C, Groff S, Bringas P Jr, Santos V, Slavkin, HC (1992) Suggested functions of endogenous TGFb isoforms in regulating mandibular morphogenesis and tooth formation. Selected Biomedical Research Summaries Am. Society for Cell BioI. pp. 1-2. Slavkin HC, Hu CC, Sakakma Y, Diekwisch T, Chai Y, Mayo M, Bringas P Jr, Simmer J, Mak G, Sasano Y, David S (1992) Gene Expression, Signal Transduction and Tissue-Specific Biominera1ization During Mammalian Tooth Development, Critical Reviews in Eucaryotic Gene Expression, Stein, G. S., Stein, J. L., & Lian, J. B., editors, CRC Press. 2 (4): 315-330. Slavkin HC, Shum L, Bringas P Jr, Sakakma Y, Chai Y, Mayo M, Santos V, Werb Z (1992) EGF regulation of Meckel's cartilage morphogenesis during mandibular morphogenesis in serumless, chemically-defined medium in vitro. ln: Chemistry and Biology of Mineralized Tissues (eds. Slavkin HC and Price P) Elsevier Scientific Publications, Amsterdam, pp.361-368. Denny PC, Chai Y, Pimprapaiporn W, Denny PA (1990) Three-dimensional reconstruction of adult female mouse sumandibular gland secretory structures Anat. Rec. 226, 489-500. Denny PC, Chai Y, Klauser DK, Denny PA (1990) Three-dimensional localization of DNA synthesis in secretory elements of adult female mouse submandibular gland. Advances in Dent. Res. 4, 34-44. Denny PA, Pimprapaiporn W, Bove BJ, Chai Y, Kim MS, Denny PC (1989) Appearance of acinar-cell-specific mucin in prenatal mouse submandloular gland Differentiation 40, 93-98. Byrd KE, Chai Y (1988) Three-dimensional movement analysis of lateral pterygoid eletromyographic activity during mastication in the rat. Arch. Oral Biol. 33,635-640.